GigMasters' Account Services Team gets hundreds of emails and calls every day. 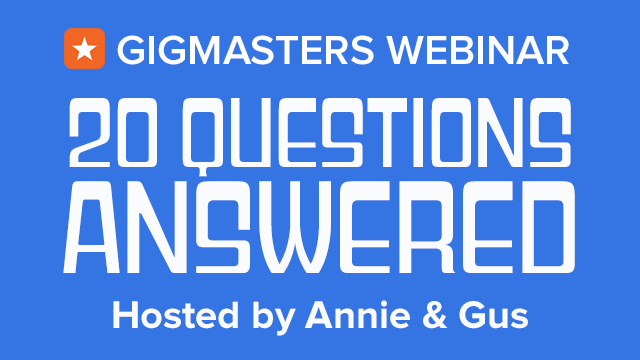 Some questions come up pretty frequently, so for this webinar we’ll be addressing those most commonly asked questions, as well as giving some additional tips on getting more gigs! In this 30 minute session we answer the big FAQ's related to your profile page, responding to leads, and working with new clients. This is open to anyone who is interested in getting hired for live events. All you need is a computer and headphones or speakers.